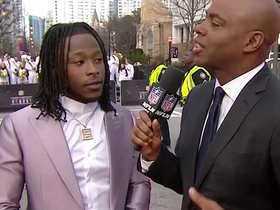 Latavius Murray will replace Mark Ingram as Kamara's complement in the New Orleans backfield, ESPN.com's Mike Triplett reports. Kamara rushed just eight times for 15 yards but brought in 11 of his 13 targets for 96 yards during the Saints' 26-23 overtime loss to the Rams in Sunday's NFC Championship Game. 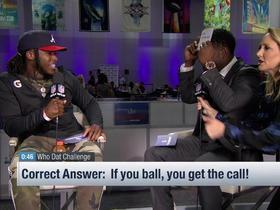 He also recovered a fumble. 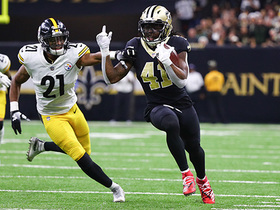 Kamara rushed 16 times for 71 yards and brought in all four of his targets for 35 yards in the Saints' 20-14 divisional-round playoff win over the Eagles on Sunday. He also returned two kickoffs for 45 yards. 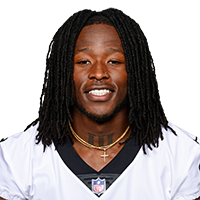 Kamara (coach's decision) is inactive for Sunday's game against the Panthers, John DeShazier of the Saints' official site reports. 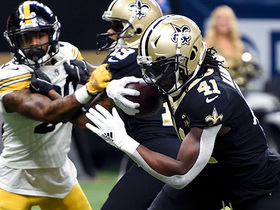 Kamara ran for 23 yards on seven attempts, adding four receptions for 82 yards during Sunday's 31-28 win against the Steelers. Kamara rushed 14 times for 67 yards and a touchdown in Monday night's 12-9 win over the Panthers. He also caught seven of nine targets for 36 yards. Kamara rushed 12 times for 51 yards and brought in five of six targets for 36 yards in the Saints' 28-14 win over the Buccaneers on Sunday. He also returned three kickoffs for 76 yards. Kamara rushed 11 times for 36 yards and brought in eight of 11 targets for another 36 yards in Thursday's 13-10 loss to the Cowboys. He also returned three punts for 17 yards and fumbled once, but it was recovered by the offense. Kamara racked up 89 rushing yards on 14 carries, adding one catch for nine yards during Thursday's 31-17 win against the Falcons. Kamara rushed 13 times for 71 yards and hauled in his lone target for a 37-yard touchdown in Sunday's 48-7 win over Philadelphia. Kamara ran for 56 yards and two touchdowns on 12 carries and added 46 yards on four receptions during Sunday's 51-14 win over the Bengals. 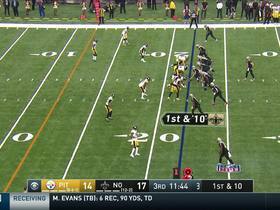 Kamara carried 19 times for 82 yards and two touchdowns Sunday against the Rams. He also caught four of five targets for 34 yards and a touchdown during the 45-35 win. Kamara (illness) returned to practice Friday as a full participant and doesn't carry a designation into Sunday's game against the Rams, Mike Triplett of ESPN.com reports. 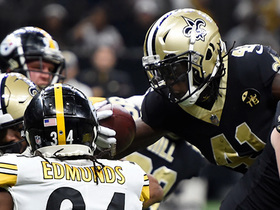 Analysis: Kamara missed Thursday's practice with the illness but never seemed to be in serious jeopardy of sitting out the upcoming NFC showdown. 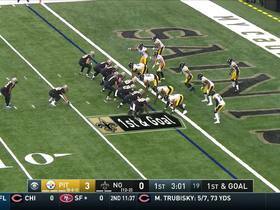 He took on a surprisingly large share of the backfield workload in last week's 30-20 win over the Vikings, handling 20 touches while playing 72 percent of the Saints' offensive snaps in a two-touchdown performance. He only played about half of the offensive snaps in the Saints' first two games following Mark Ingram's return from suspension. Kamara didn't practice Thursday due to an illness. 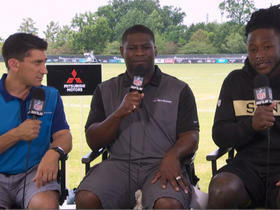 Analysis: Kamara wasn't present at the open portion of the session, after which Mike Triplett of ESPN.com reported an illness was the reason for the running back's absence. Thursday's injury report confirms as much. 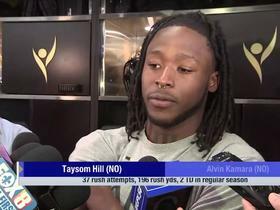 Fortunately for Kamara, he fell ill midweek rather than close to gameday, which indicates the Saints may clear him well before Sunday's contest with the Rams. Kamara (undisclosed) wasn't on the field for the open portion of Thursday's practice, Josh Katzenstein of The Times-Picayune reports. Analysis: Kamara's absence is a bit of a surprise after he handled every practice rep Wednesday. 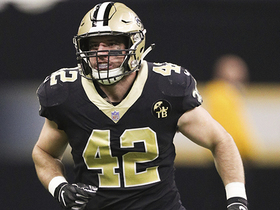 He tended to a knee injury for a two-week stretch earlier this season, but until the Saints release Thursday's version of the practice report, the potential DNP will be unexplained.